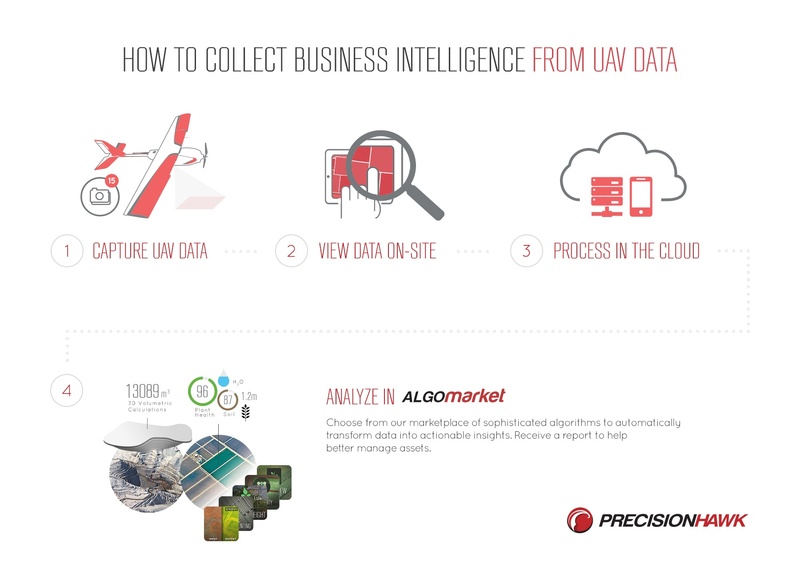 For drones to be seen as legitimate business tools, we as manufacturers and service providers have to be able to execute a solid aerial data strategy to ensure the delivery of actionable business intelligence. The majority of UAV users will not have a dedicated GIS team that can efficiently analyze terabytes of raw data at scale, which oftentimes leaves a user with nothing but a thumb-drive of aerial photos. At PrecisionHawk, we’ve designed a system that follows an end-to-end information delivery model so we can streamline the process from data collection to use-case specific analysis and provide a clear return on investment. Last year we opened up our software arm, DataMapper, to ingest data from leading drone manufacturers. To build onto this ecosystem mindset, this week we introduced the Algorithm Marketplace, the first aerial data analysis app store for the drone industry. The Algorithm Marketplace, powered by DataMapper, aligns with our overarching goal to provide straightforward and specific solutions to problems without requiring a UAV operator to be an expert in GIS or remote sensing. Choose from over 15 plug-and-play sensor suites, such as Visual, LiDAR, Thermal, Multispectral and Hyperspectral, and capture market-leading resolutions of sub 1cm/pixel. Instantly view and validate high-definition, georeferenced images post-flight while your data is being uploaded to the cloud, to ensure you have everything you need while you’re still out in the field. Transform raw imagery into an orthomosaic that is ready for analysis in DataMapper, PrecisionHawk’s UAV data software platform. Visualize and edit data outputs in the office or on the go. Choose from a library of use-case specific algorithms in the Algorithm Marketplace. Powered by a network of leading universities, researchers and GIS scientists, the marketplace closes the pipeline bringing together an entire solution for the market.